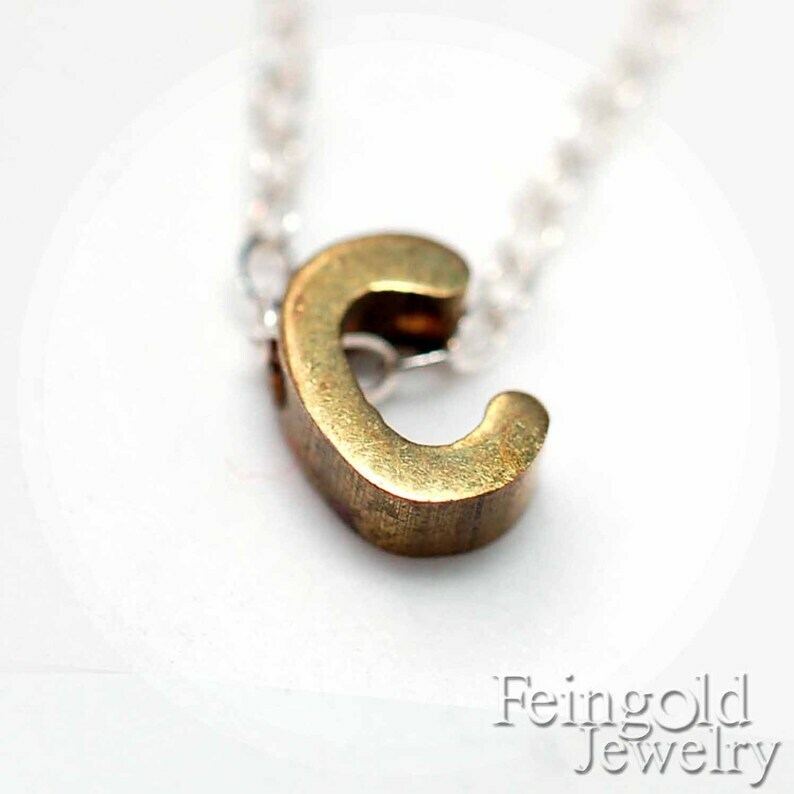 This necklace is comprised of an itty bitty perfectly oxidized brass vintage single letter suspendend on a sterling silver chain. This is the sweetest and most delicate necklace. Please note - Due to small parts, for adults only. The brass charm and the sterling chain may darken with age. This is a great gift for a friend, wife, birthday girl, bridesmaid, graduate, mother, or grandma. If I don't hear otherwise, I will send you the letter shown in this listing. Please note that the brass letter and the sterling chain may oxidize.